I began group therapy at an Austin GLBT organization. 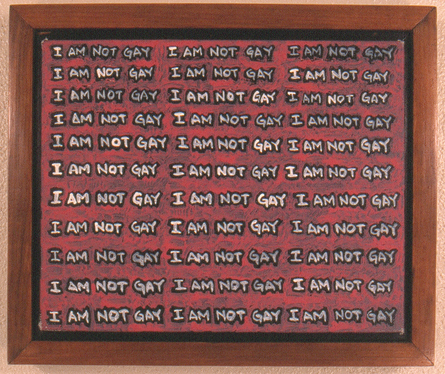 For several years I had written, "I am not gay" in my journal. For years before that, any time I wrote the word "gay" in my journal, I would tear the page out. I decided I would come "out" through my work. What better place to start than with my denial.